Chinese Internet regulations, also known as The Great Firewall, are a controversial topic. It has a major impact on the way online companies do business in China, where both local and foreign companies must cooperate with the authorities to ensure compliance. Google is one of the companies that have been most strongly impacted by The Great Firewall. Legal restrictions prevent them from operating in China. As a result, the most popular search engine in that part of the world is not Google, but… Baidu. Additionally, Chinese marketers and data analysts (and virtually everyone dealing with data from Chinese citizens) are prohibited from using the most popular web analytics tool on the market – Google Analytics. However, despite the rules, many Chinese and Western companies still continue to use it. of analyzed websites still contained hidden code connecting Chinese users’ computers to Google’s servers, according to a study conducted by The Guardian, . 80% of the 30 most important Chinese ecommerce websites use Google Analytics. So, we can safely assume that it’s a widespread phenomenon. So while it’s true that Google Analytics is used clandestinely in China, organizations deploying it encounter many difficulties like data loss, latency, and data privacy issues. Let’s consider what harm these problems can do to your business, as well as how you can tackle them. If your company does business or employs staff in China, you may know that connecting with Google Analytics can take a while. Sometimes the connection can simply time out. If web analytics is critical for your organization and your business depends on immediate, real-time access to your data, these latency issues can be very costly. Another issue is related the Google Analytics API being blocked for Chinese visitors on your website. This will be particularly painful if you run a large international portal or have a global brand with lots of Chinese visitors. This blocking causes you to miss all the information from their visits, which represents a significant data loss. Of course, the amount of data blocked by The Great Firewall varies. Let’s now take the scenario described above and imagine that you’re a global e-commerce business with an average conversion rate of 2%. If you’ve just lost data on 200,000 Chinese visitors, it would mean that you’re missing analytics data on 4,000 conversions, or purchases. That can hurt! Data like this, including information about conversion attribution, helps marketers understand which channels accounted for conversions. But those 4,000 conversions would also be lost. Can you really afford to rely on incomplete data when making critical business decisions? Another concern relates to data privacy. This is particularly critical in light of China’s new Cybersecurity Law (in force since July 2017). The requirement that all data generated in China remain in China, as well as the prohibition against transferring data across China’s border, will both be delayed until December 2018. Nevertheless, there are many other restrictions involved in dealing with data of Chinese citizens, especially when it comes to special categories of data. For instance, Article 37 of the new law expressly requires that operators of Critical Information Infrastructure (CII) store within China citizens’ personal information and important data collected or generated within the country. And if transfers of data offshore are necessary for operational reasons, a security assessment must be conducted by designated agencies, unless regulations state otherwise. These requirements can potentially hamper the ability of multinational companies to operate efficiently. This may require businesses to store and access data from data centres located in China. And in this case, Google Analytics won’t be an option because their cloud servers are located in the USA. How Can You Overcome the Great Firewall and Restore the Data Accuracy of Your Web Analytics? In order to tackle this data loss, latency, and security challenges, you first need to recognize that there may be better solutions than Google Analytics for this particular context. A good idea would be to deploy Piwik PRO On-Premises, which gives you the option to host the solution on Chinese servers. Since it is hosted locally, The Great Firewall won’t block your solution. This allows you to collect and process 100% of your visitor’s data without any hiccups. In addition, Piwik PRO users enjoy the benefit of full data ownership and access to raw data. 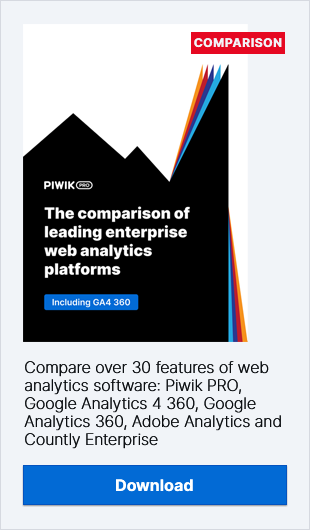 Whether you’re a Chinese company or a Western company with a significant Chinese visitor base, you should consider using Piwik PRO in parallel with Google Analytics, or even as a replacement solution. Comparing your website’s performance using data from different tools can give you a rough idea of how The Great Firewall could be impacting your results. This will certainly help you get a more complete picture of your analytics data and eliminate latency issues. Leo's focus is on developing and executing marketing and sales strategies, mainly for the North American market. It is the process that most fascinates Leo, not significance of the end product.